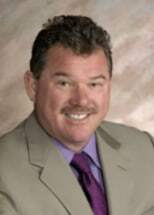 Hello, my name is Tom McKenna and I'm a criminal defense lawyer with over 30 years of experience defending the rights of people arrested and accused of criminal offenses. I have personally handled thousands of criminal cases in my career, and my clients have included students, parents, husbands, wives, career criminals, professionals, and CEO's of large corporations. My goal is simple: to represent your legal interests with the utmost diligence, excellence, and compassion. Also, in that regard, I understand that privacy is important to my clients. I have had many high profile cases and I have declined appearances on Oprah, Dr. Phil, The Today Show, and Good Morning America for the purpose of protecting my clients' privacy. Promoting or marketing my business is not my priority; the outcome of my clients' cases and their privacy takes precedence. My philosophy is simple: I believe in quality representation at all stages of the criminal proceedings, such as before, and after arrest, through all proceedings in court, and I am always available to my clients when the case is closed. The criminal process can be very confusing and intimidating for the accused and the accused's family. Thus, I believe in educating my clients and their families not only on the judicial process, but also on every legal aspect relevant to the case. When you call I will give you honest answers. Beware of lawyers who claim they never lost a trial or that you need a team of lawyers to defend you. I am most proud of the cases that never made it to court. I look forward to meeting you and/or your family.